Make a bold impression on your next green campaign with full color printed seed packets. This is the most commonly used envelope size and the most economical. 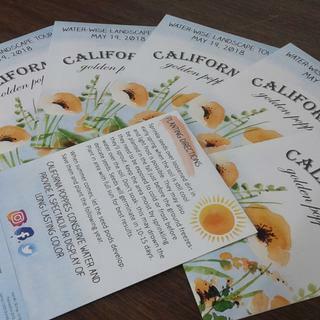 Your brand can't be missed when viewed on these brilliant colored custom printed promotional seed packets. Seed Information Quantity varies per seed type. Approximately 25-70 seeds per packet. The herb seeds with our sons picture on them were a big hit at the memorial service. These turned out amazing. I was nervous to see how the back folds and lines up, but it worked out great. I couldn't be more satisfied with the customer service and printing. Full customization was super easy. Thank you for your Custom Herb Seed Packet review! We are so glad we exceeded your expectations. Happy planting!